This tidy number is awash in shimmering optic glass for an added splash of subtle sparkle, atop an elegant foot. 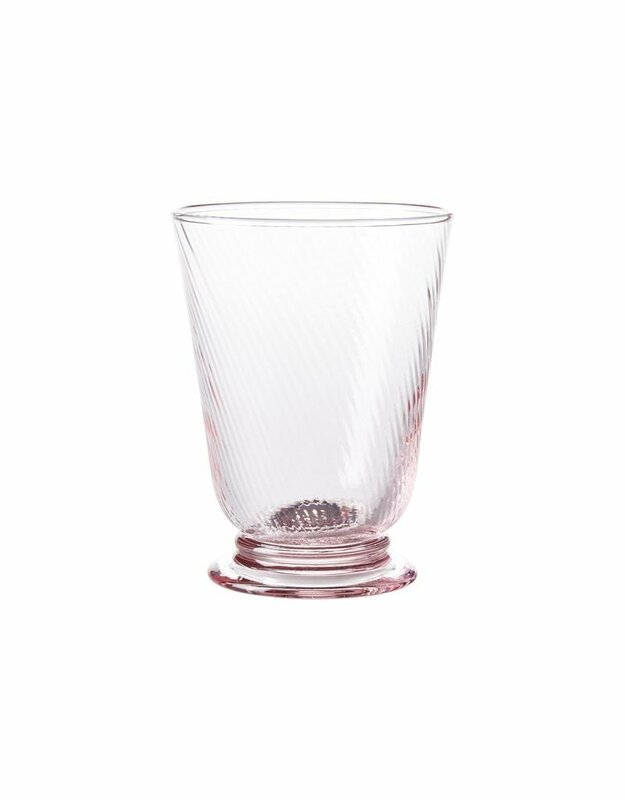 Short of stature but certainly not in style, this eye-catching tumbler dresses up any table setting and is absolutely fetching in its blushing hue. 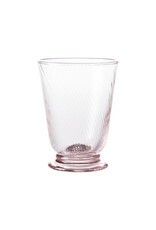 Ideal for fresh juices in the morning or sophisticated libations in the evening.